I might not wear overly complicated eyeshadow, usually just one shade and maybe some in the crease but I am partial to a good palette. 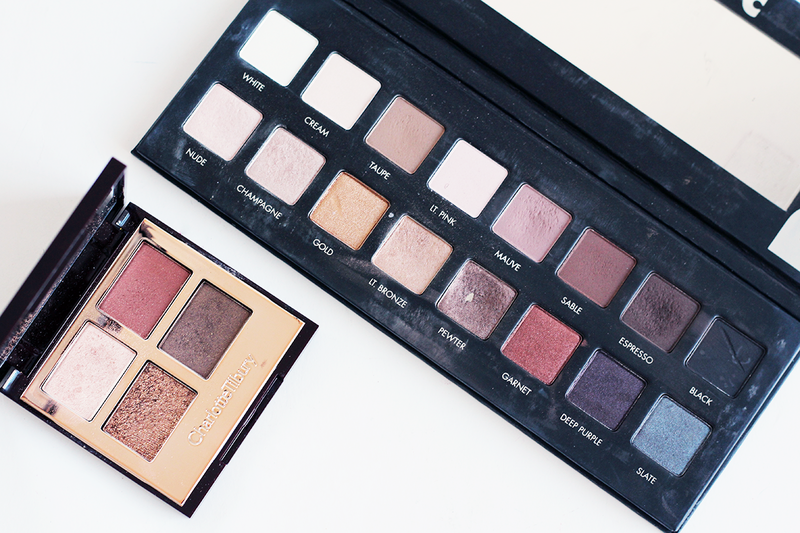 I’ve lost count of the amount of neutral ones in my collection now… Anyway, here’s a lil’ rundown of my favourite palettes that my eyes can’t get enough of right now. 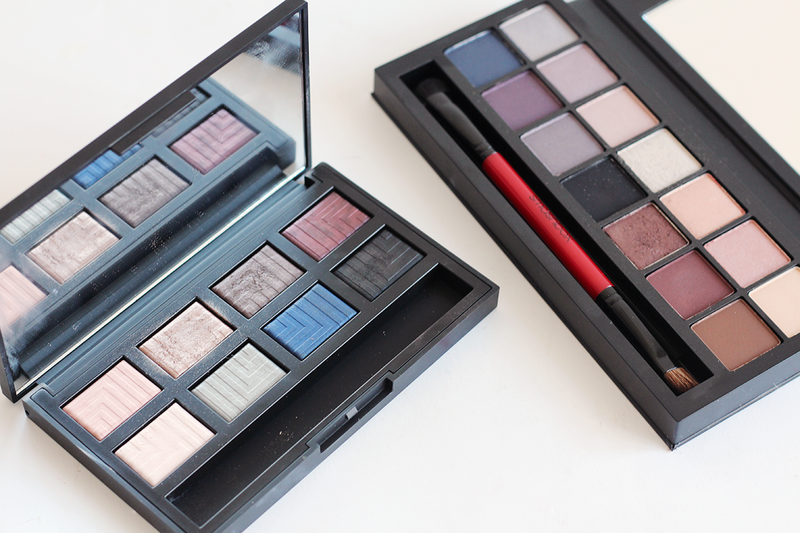 Starting with the newest one, the NARS Dual Intensity Palette is a thing of beauty, really. It houses eight highly pigmented shades, which can be used wet or dry to create different looks (hence the name) and I really love the pigmentation. The shadows last all day and are buttery soft, so are very easy to blend. It’s a gorgeous palette and I love the packaging too! Handy having a mirror on both sides. 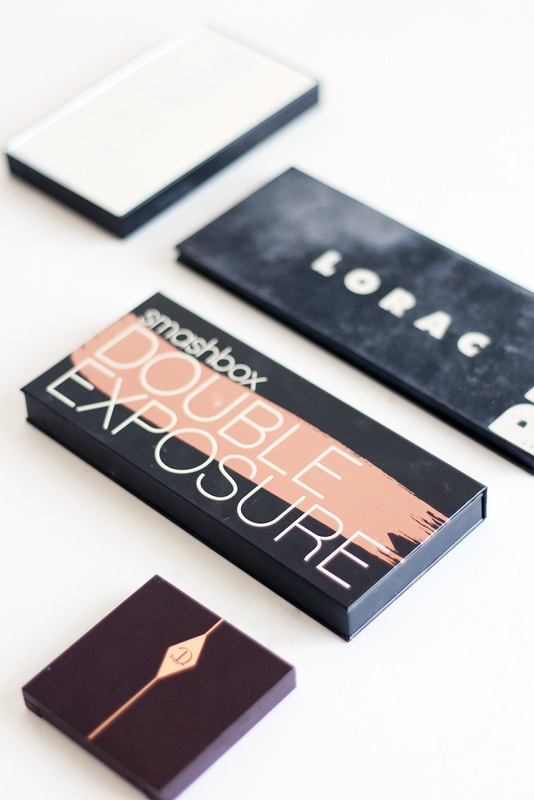 Next is the Smashbox Double Exposure Palette which has a huge 16 shimmer and matte shadows for your dollah. I like how it has neutral, pinky toned and more purple toned shades in it so it covers a lot of looks! Again, you can use these wet or dry and the colour pay off is really good! Finally, a more dainty looking palette is the beautiful Charlotte Tilbury Palette in The Dolce Vita. It’s a pretty combination of champagne, gold, copper and dark brown which creates a great look all on its own. I often wear the lightest shade by itself as a wash over the lids, as it’s really nice by itself. It might be pricey, but it’s the perfect treat! Check out these: blogs Kerralina and Laura Hadley, and clothing store Red Lomond!